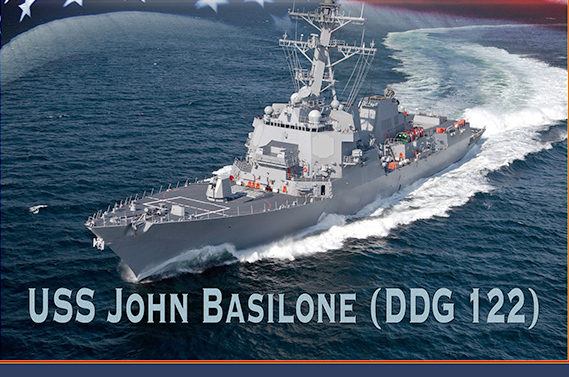 In a ceremony at Marine Corps Base Camp Pendleton, Calif., Secretary of the Navy Ray Mabus announced Arleigh Burke-class destroyer, DDG 122, will be named John Basilone in honor of the Marine Corps gunnery sergeant and Medal of Honor recipient. He was awarded the Medal of Honor for heroism during the Battle of Guadalcanal, and was the only enlisted Marine to receive both the Medal of Honor and the Navy Cross in World War II. This is the second ship to be named for John Basilone. The first USS Basilone (DD/DDE-824) was a Gearing-class destroyer, decommissioned in 1977. This is the seventh ship Mabus has named honoring a Medal of Honor recipient. Others include John Finn (DDG 113), Ralph Johnson (DDG 114), Thomas Hudner (DDG 116), Daniel Inouye (DDG 118), Harvey C. Barnum Jr. (DDG 124), and Woody Williams (T-ESB 4). Arleigh Burke-class destroyers conduct a variety of operations from peacetime presence and crisis response to sea control and power projection. DDG 122 will be capable of fighting air, surface and subsurface battles simultaneously, and will contain a combination of offensive and defensive weapon systems designed to support maritime warfare including integrated air and missile defense and vertical launch capabilities. 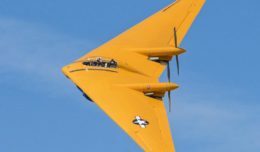 The ship will be constructed at Bath Iron Works, a division of General Dynamics in Maine and is expected to enter the Navy fleet in 2022. The ship will be 509 feet long, have a beam length of 59 feet and be capable of operating at speeds in excess of 30 knots.